The Fake News epidemic is a direct result of our continued failure to create a stable business model around professional news media. We seem to have forgotten that the news media sector continues to be in turmoil. - Medium — one of the most popular online publishing sites says it will cut 50 jobs and change to an unspecified business model. Medium was founded by Ev Williams, founder of Blogger, co-founder of Twitter. It doesn't pay for much of its content yet this digital-first social media savvy media company is struggling. All media companies are in the disruptive path - not just digital. 2016 was our best year yet. Key metrics, such as readers and published posts were up approximately 300% year on year. And we witnessed important stories published on Medium — from world-famous leaders to unknown individuals — on a daily basis. New York Times also reported growth in readers but warned of further cuts. Our global audience surpassed 200 million monthly users, a multiple of our reach a few years ago…Nothing can disguise the fact that the continued shift from print to digital demands a somewhat smaller and more focused newsroom. Medium's 300% growth is an example of one of the most painful paradoxes in the media industry: reporting large new audiences and falling revenues. Media companies have to run forward constantly just to stand-still. There is no stable business model. It is all because advertising has to compete against the ever lower cost and ever-wider reach of advertising from Google and Facebook. Foremski's Take: This is a serious failure of the Internet and its collective hive mind of visionaries, computer experts, and software engineers — the world's top gray matter. Googols of top neurons connecting over the Internet and we still haven't figured out a way to collect the true monetary value of professional news media so that it can be reinvested in producing more high quality media. Since 2005, after leaving the Financial Times, I've warned that if we can't find a way to pay for professional media then society will pay for it in many unpleasant ways such as a rise of misinformation from special interest groups. People won't pay for the news media they should be reading but special interest groups will gladly pay for the media the media they want them to read. We have important decisions to make about a large number of issues such as the economy, the environment, energy, education, elder healthcare and those are just the ones that begin with the letter "E" — there's plenty more issues . With bad information we won't be able to make good decisions. Software engineers call this GIGO - Garbage In Garbage Out. It's going to get worse. In an era of free online media the value of free speech is worth about the same — nothing. If it is not seen online then it doesn't exist. Today it is very easy to buy traffic to whatever special interest groups want to be seen by millions. Money has always been able to buy influence but now it can now buy influence on an industrial scale. And money has access to the all best technologies of influence — the powerful personalization technologies of the ad tech industry. It's not a level playing field — and that's dangerous in a democracy. - LonelyGirl15 - a prophetic warning about fake news in 2005. 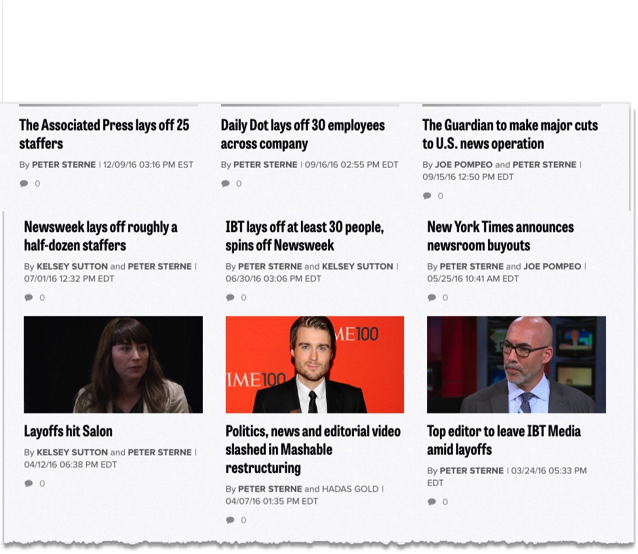 - Native advertising and Fake News - can businesses become media companies? Can they be trusted? - The future for a trusted media sector.